Along with Dean Alan Mathios, the Rebecca Q. and James C. Morgan Dean of the College of Human Ecology, I am pleased to announce the appointment of Chris Watkins as Director of Cornell Cooperative Extension (CCE). We are very fortunate to have someone of Chris’ caliber seamlessly stepping into this key leadership role, and I am confident that Chris will position CCE for the future by integrating communication and education technologies with the traditional boots-on-the-ground approach that has characterized the legacy of CCE to date. As director, Chris will run the diverse portfolio of programs of CCE, which maintains a presence in every county in New York State as well as in New York City. As you may know, CCE reaches citizens through outreach in food systems, natural resources, sustainable energy, 4-H youth development, nutrition, economic development, and related subjects. Chris, who has served as CCE’s Associate Director of Cornell Cooperative Extension and is Herman M. Cohn Professor of Postharvest Science in the Department of Horticulture, will complete the term of Helene Dillard, who recently stepped down to become dean of the College of Agricultural and Environmental Sciences at the University of California, Davis. Chris is appointed through October 1, 2017. 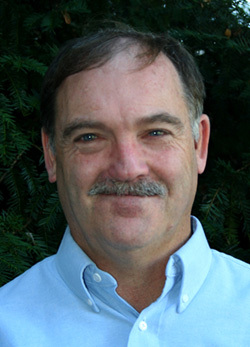 Chris joined the Cornell faculty in 1994 as an associate professor of horticulture after more than a decade as a scientist in the Postharvest Science Group of The Horticulture and Food Research Institute in his native New Zealand. He was promoted to full professor in 2004 and has served as the associate director of CCE since 2006. Chris has maintained an active research program on techniques that retain the flavor, texture, and health-related compounds of fruits and vegetables after harvest. An internationally-sought expert on fruit ripening and storage, he and a colleague wrote a Production Guide for Storage of Organic Fruits and Vegetables in 2012. Chris has received numerous honors, including the Herman M. Cohn Professorship of Horticulture in 2013; delivering the George Goodling Memorial lecture to the State Horticultural Society of Pennsylvania in 2010; the Crystal Apple Award from the Director of the Szczepan Pieniazek Research Institute of Pomology and Floriculture in Skierniewice, Poland, in 2005; and the American Society for Horticultural Science Outstanding Extension Educator Award in 2003. Please join me in congratulating Chris on this appointment. See also: Cornell Chronicle article, CALS Notes.